To start off this year, I decided that I wanted to take a look at the second novels of a trio of new authors. 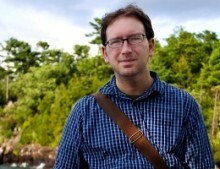 It’s often said that someone has a decade to write their first novel, but just months to write their second. I’ve been thinking about this a lot, because following up a first act is a tough challenge: an author has to replicate everything that worked in their first book, while working to make sure that they’re not writing essentially the same book. Much like with a musician’s sophomore album, a second novel can tell you much about how any particular author is approaching their craft, and in the case of a series, it can show you how much they’ve plotted out their series. 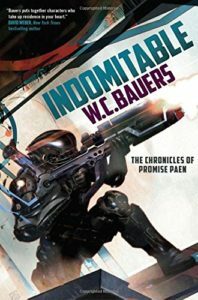 I initially reviewed W.C. Bauer’s military science fiction debut novel, Unbreakable, two years ago, with my January 2015 column (bit.ly/2i8H6V9). Unbreakable was an entertaining military SF novel: it introduced us to a compelling protagonist, Promise Paen, as well as an equally compelling world in which the Republic of Aligned Worlds is engaged in a sort of cold war against the Lustianian Empire. 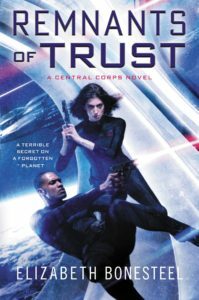 The two governments go head to head on Paen’s homeworld of Montana, and there’s plenty of action and fighting that keeps the book humming along. For military SF, it’s always great to see an author pull back from the fighting and take a look at the bigger political picture that’s forming the main story: it gives the action context and gives one perspective. Unfortunately, Bauers pulls out too far. Much of this follow-up book is about politics, and while there’s some engaging action at the front of the book, much of the promised plot doesn’t begin to take place until you’re past the 200-page point. Bauers spends much time going over the internal politics of the RAW, which makes this book a much slower and far less entertaining read. It’s a shame, because Unbreakable showed off much potential; Indomitable just bored me for most of the story. I see what Bauers was trying to do, but it feels like this book is a bit of an overcorrection, and it misses the mark by a bit. It’s good to see that the world is being fleshed out quite a bit more, but hopefully, a future installment will find its balance between action and context. My next read is Elizabeth Bonesteel’s Remnants of Trust, the continuation of her Central Corps series, which kicked of with a bang in The Cold Between (previous review at bit.ly/1QxGCEm). I really enjoyed this debut novel, because Bonesteel plunks you down in the depths of a mystery set against the politics of an interstellar organization. She doesn’t throw you much of a lifeline with this novel, and I’ll definitely need another read or two to fully get all the nuances. Fortunately, with Remnants of Trust, it feels as though Bonesteel has a better handle on the world and conveying it to the reader. Like the first novel, it deals with a complicated mystery that’s wrapped in some prior action undertaken by the Central Corps—in the prologue, an away team visits a colony world and finds that it’s been devastated, with its inhabitants turned savage and cannibalistic. Fast forward several years, and Commander Elena Shaw and Captain Greg Foster find themselves in more trouble after the events of the first book: they’ve been redeployed to patrol Third Sector, when they find that their sister ship Exeter has been sabotaged, as well as a nearby PSI ship. These incidents are connected, and as Shaw and others begin to investigate, it’s clear that someone is going to great lengths to cover everything up. Remnants of Trust is as well written as its predecessor, but I enjoyed this novel more. The mystery and intrigue feel more compelling, its characters are a bit more interesting, and it’s got its share of action. To me, it feels as though it’s what Star Trek could have been if it was conceived in 2016: dark and incredibly compelling. It would make a hell of a fantastic television series. There are some novels in a series that just throw out the rulebook altogether. 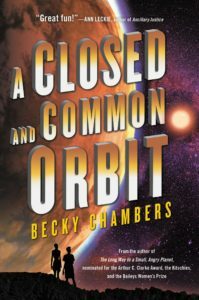 That’s the case with Becky Chambers and her second novel, A Closed and Common Orbit (see review at bit.ly/2hBnEDt). It’s set in the same world as her stunning debut, The Long Way to a Small and Angry Planet, which I had a blast reading. Chambers introduces us to an incredible cast of characters onboard a starship, and for her follow-up act, she could have plopped the crew into a new adventure and had just as much fun. That doesn’t happen with this novel, and it’s an incredibly brave jump. This novel takes place shortly after the first, picking up Lovelace’s story. When we left her, she had been downloaded into a realistic human body, but had been essentially reformatted: she’s a new person, so to speak, which allows Chambers to inject some depth that was largely lacking in the first book. This is a fantastic jump, and we follow Lovelace (renamed Sidra) as she explores what it means to be a person. Interspersed through this narrative is a second storyline following Jane, a young girl who escapes from a factory into a junkyard, where she’s raised for the next decade by the AI of a broken-down starship. This is an equally compelling storyline, and we watch as she grows up alone, trying to survive. These two storylines come together by the end of the novel. They don’t mesh up quite perfectly: they largely feel like two separate stories that just happen to come together with an ending that feels almost too convenient. That said, like its predecessor, this is an incredible book. Chambers tells an incredibly sharp story, one that explores the limits of disability and acceptance as two characters make their way in a difficult world. It’s a wonderful feat, and it’s the epitome of subverting expectations. I already can’t wait to see what surprises are in store for her next novel. Each of these three novels show how Bauers, Bonesteel, and Chambers have gone on to follow up with their novels. Each one has experimented in some ways. Chambers and Bonesteel have each taken two very different approaches: Bonesteel has essentially continued the story of her crew, but with a new conspiracy for them to unravel, while Chambers has jumped away from her first to a new set of characters and themes completely. While Bauer’s novel is the weaker of the three, he likewise does some really interesting things with his story, taking it in a direction that I didn’t expect and showing off some new parts of his world. While it doesn’t quite pay off for me, this sort of experimentation is what authors should be doing, rather than just laying down the same story installment after installment. While there’s something to be said for playing with a long, ongoing series like The Dresden Files or The Lost Fleet novels, they get tedious after a while, something that each of these novels really manage to avoid.